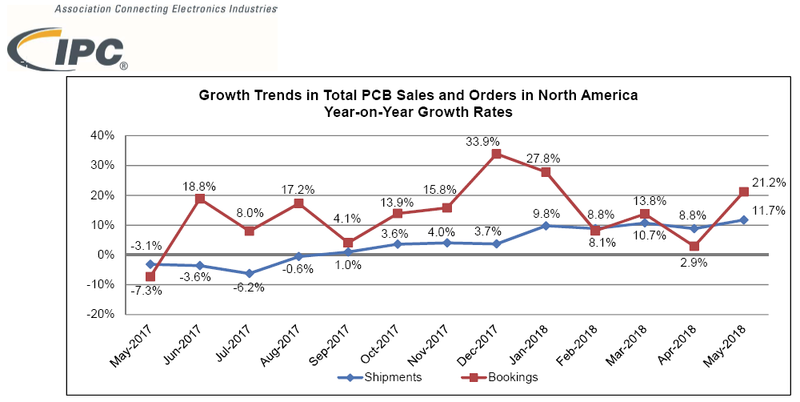 Association Connecting Electronics Industries® announced today the May 2018 findings from its North American Printed Circuit Board (PCB) Statistical Program. Industry shipments and orders in May grew at a strong pace. The book-to-bill ratio strengthened to 1.09. Copyright of this article by SMTnet. We are sharing and promoting the market innovation.